By Melissa Lennig on December 12, 2014 4 Comments. This content contains affiliate links. As an Amazon Associate I earn from qualifying purchases. 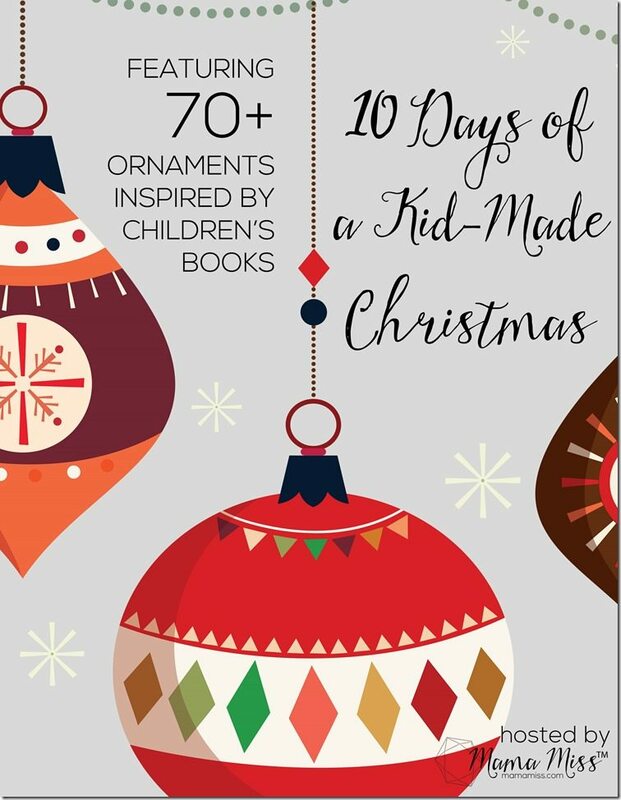 Today I’m thrilled to share a simple Christmas ornament for kids in conjunction with the 10 Days of a Kid-Made Christmas series hosted by Mama Miss. 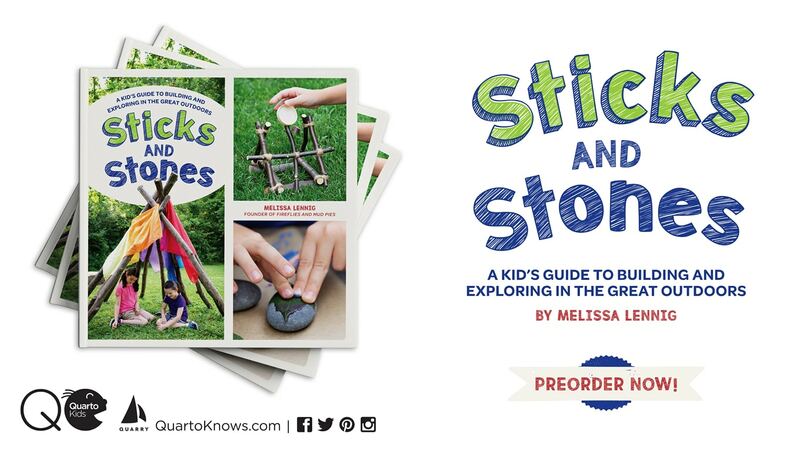 In this series, 70 bloggers are sharing a kid-made craft based upon a children’s book. I just know you’ll enjoy following along! My kids and I have already been enjoying our annual Christmas Book Advent! Starting Thanksgiving night, we read one Christmas book each day to count down the days until Christmas. One of their favorites is The Twelve Days of Christmas, illustrated by Don Daily. We love to sing along in “fancy voices” and admire the beautiful artwork in the book. 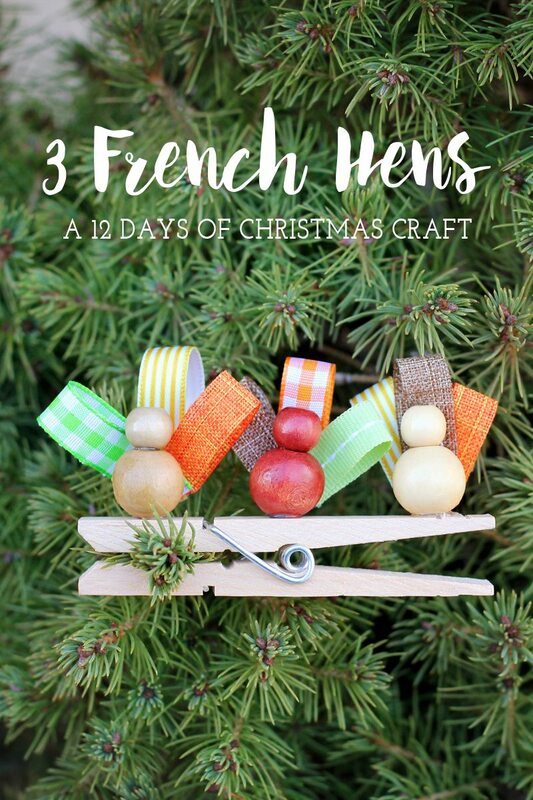 Shared below is a tutorial for a super easy clip-on 3 French Hens Ornament that kids can create in minutes. If your child is old enough, invite him to use the hot glue gun to attach 1 small bead to the top of a larger bead to form the body of a hen. If your child cannot use a hot glue gun, tacky craft glue will work just fine (but you’ll have to wait for it to dry). Repeat to build 2 more chickens. Next cut 9 small strips of ribbon. 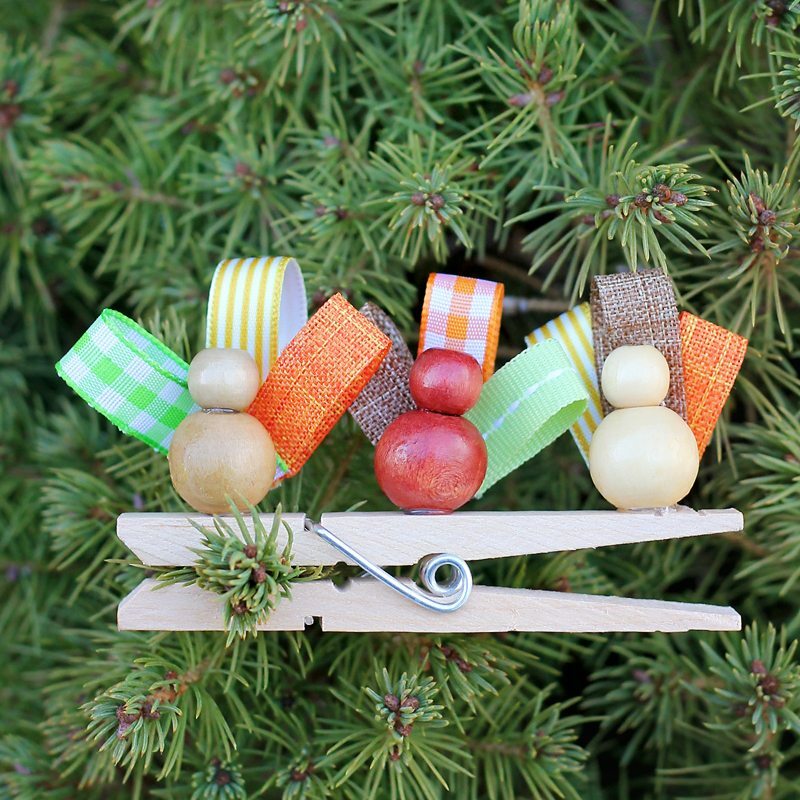 Fold the ribbons and use hot glue to attach 3 strips to the back of every chicken. When the chickens are assembled and dry, glue them in a row to the clothespin. 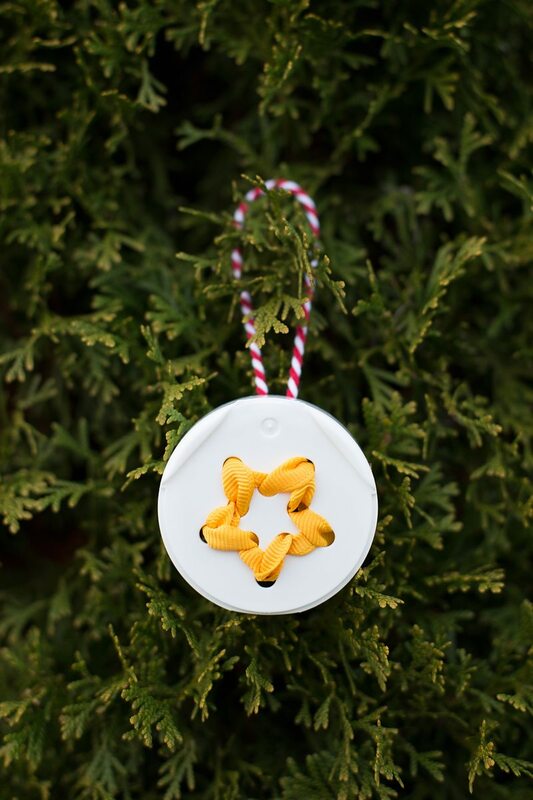 Clip onto the tree and enjoy or gift both the book and ornament to a friend! 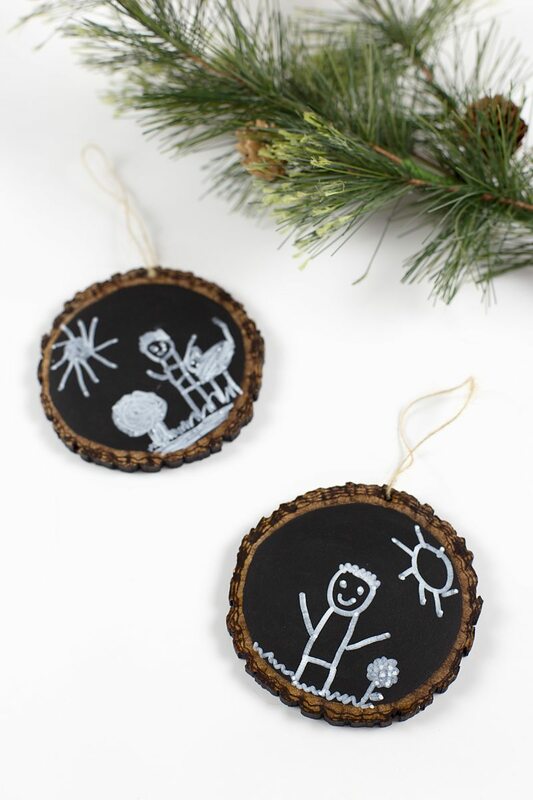 Click the images below to view more simple Christmas ornaments for kids. So pretty Melissa – love anything 12 Days of Christmas! The little hens are adorable!